Larry Niven's Known Space series is one of the most famous future histories in science fiction literature, one that spans billions of years. Ringworld is the most famous novel from Known Space and the favorite of most fans. In contrast, Protector has always been my favorite Niven book. The novel is actually two stories in one. 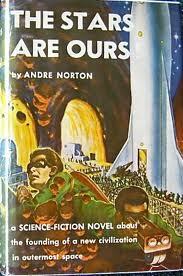 While most of what I like about this book occurs in the second half, the first part of the book, "Phssthpok" (originally published as "The Adults" in the June 1967 issue of Galaxy magazine), introduces the Pak, in my opinion the most interesting alien race in Known Space. The Pak experience an unusual metamorphous when they mature from breeder to protector, and their society is structured in such a way that makes living in peace impossible. Protectors live only to protect their own descendants, and a protector without descendants will lose its appetite and starve to death -- unless the protector can find some mission that will benefit the Pak race as a whole. Phssthpok is a descendant-less protector who embarks on a disillusioned voyage to the Earth system, where he comes in contact with humans who have extensively colonized the asteroid belt and who scavenge the rest of Earth's solar system for resources. This first chapter leads into "Vandervecken", after an interlude of two hundred years, where some very sympathetic characters are introduced: the Flatlander Elroy Truesdale; his love interest, the belter Alice Jordan, who unfortunately exits the chapter about halfway through; and the amazing Brennan, a belter human in the first part of the book who becomes a human protector. The interaction between these characters is well developed, including a profound love story that has little to do with the human couple's relationship. It's easy to care about these people and their fate as the plot unfolds into a struggle of wits and deception between the human protector Brennan and a group of anonymous Pak protectors, with Elroy tagging along for the ride. One reason I find Protector superior to many of the stories that come later in the Known Space chronology is that Larry Niven is at his best when working with believable science and technology. By the time Ringworld takes place, Known Space denizens whip around the galaxy in faster-than-light hypderdrives and traipse across planets through transfer booths. In Protector, mankind and aliens alike have only the Bussard ramjet at their disposal, a fascinating and believable propulsion system that approaches but never exceeds the speed of light. Time becomes an integral part of the story as spaceships take tens of thousands of years to reach their destinations. The fight between the Brennon/Elroy duo and the Pak scout ships alone takes years, and is the most authentic description of a space battle that I have ever read. While Niven further explores the Pak in his Ringworld series, I wish he had written more stories about the Pak in the earlier chronology of Known Space. Specifically, it would have been nice to have a book exploring more about what happens to the human colony of Home and the approaching fleet of Pak ships from the galactic core. To understand just what I'm talking about, you'll have to read Protector.